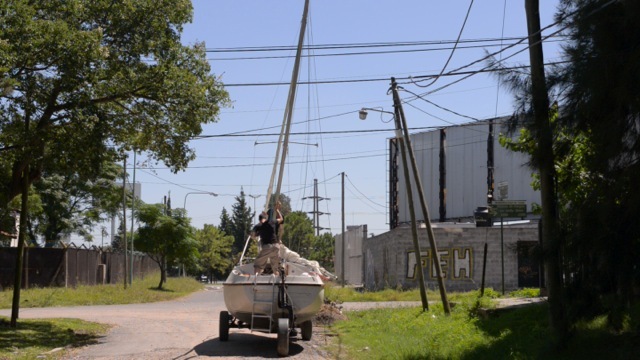 After a month-long trip we arrived with our land-sailer in the civilization, the Argentine capital, Buenos Aires. 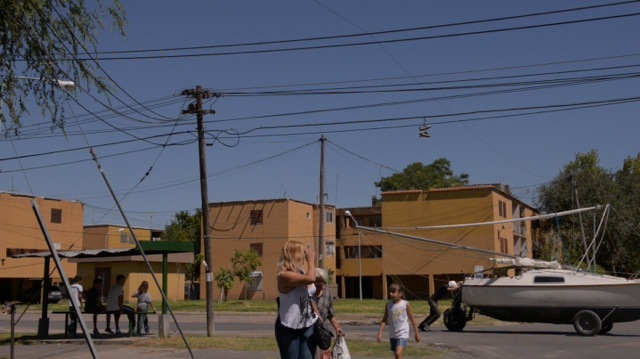 Power lines and increasing traffic made at a certain time impossible get ahead. At the end of our journey, our vehicle lined up in the everyday life of civilization. 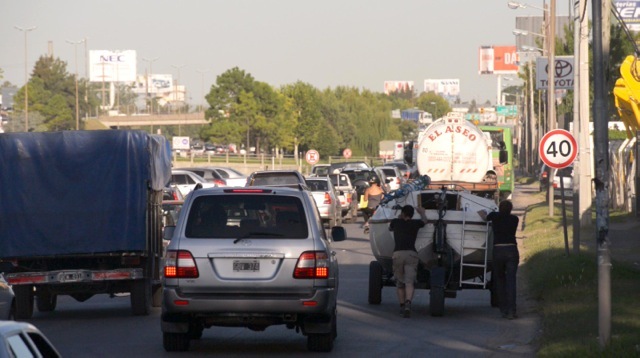 Without wind, pushing in a traffic jam, we got lost in the big city. Overtaking with a sailboat on the road! 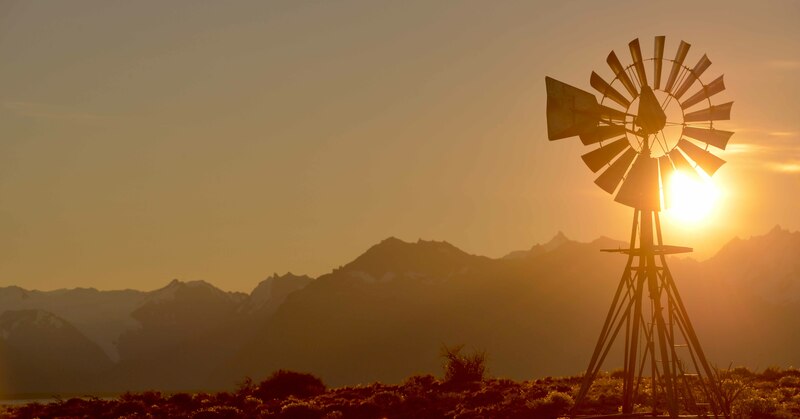 It was expected to be windier during the next few days. Even though the wind was comparably weak we were able to move rather quickly. So it took us about two hours to make 30 km. 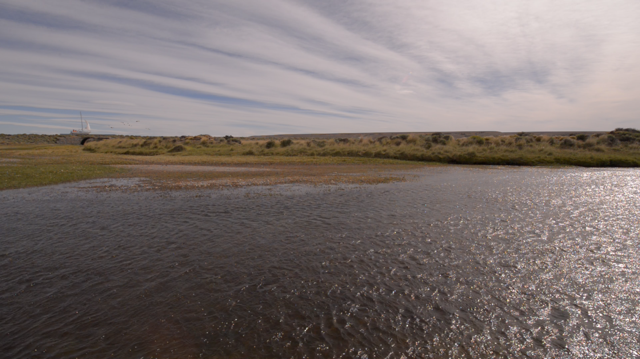 In the background you can see the impressive Fitz Roy Mountain located in the El Chaltén Valley. Waiting has never been as easy as with this view! 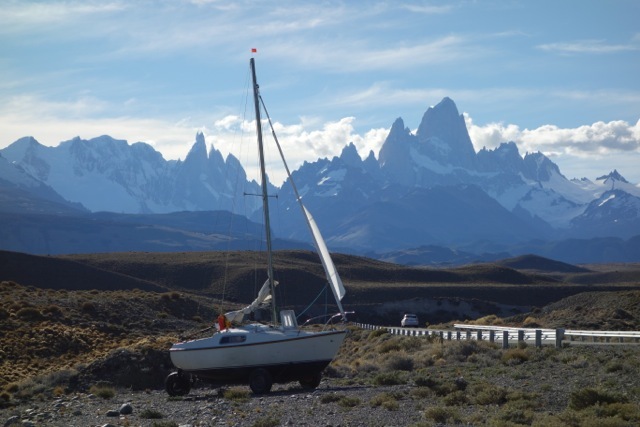 Our land-sailor rests surrounded by incredible landscape: the Fitz Roy and Torre Zero, known in the climbing world as two legendary mountains. 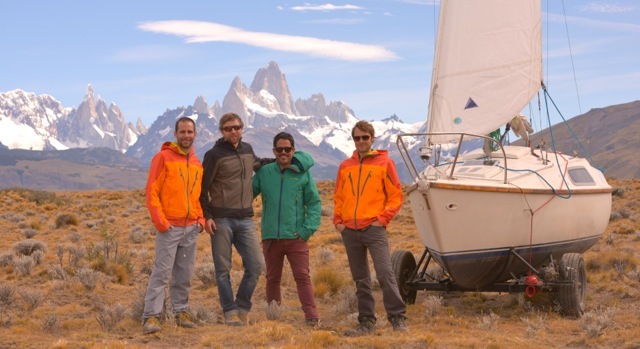 Martin Kammerer, of Markone (http://www.markone.de), who was indispensable in advance constructing the land-sailor and now accompanied the project in Patagonia as our sailing expert and technical advisor. 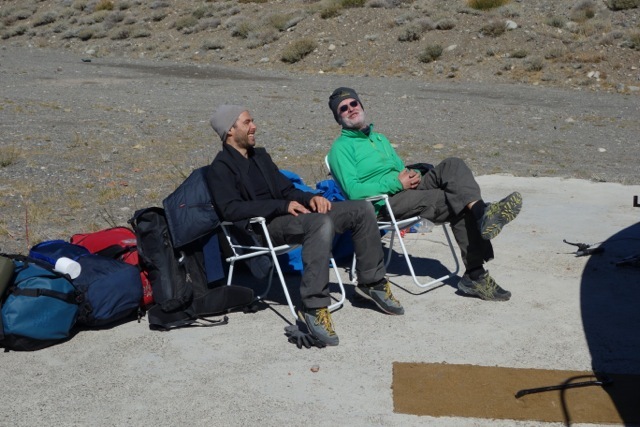 Without the wind, temperatures can rise up to 25 C° … we weren’t prepared for that but we enjoyed it anyway. At night, however, temperatures can get very cold again. On this evening, at least we were lucky to find some wood for a fire. -Nicolas de Jesus, our Argentinian producer. He was responsible for sound, shopping, to organize workshops for repairs, driver and on top he was also a brilliant cook. This quickly made him irreplaceable for our project! And finally, this is me, Daniel Beerstecher, the artist responsible for this project. 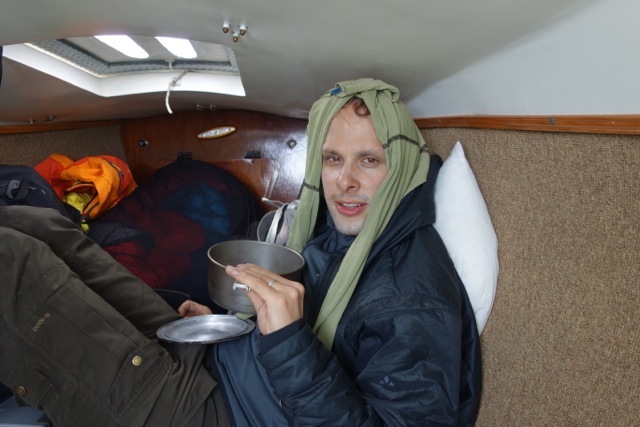 Martin Kammerer, our sailing expert has already left us at this time because little wind had been predicted and we now had learned the basic requirements for „land sailing“. 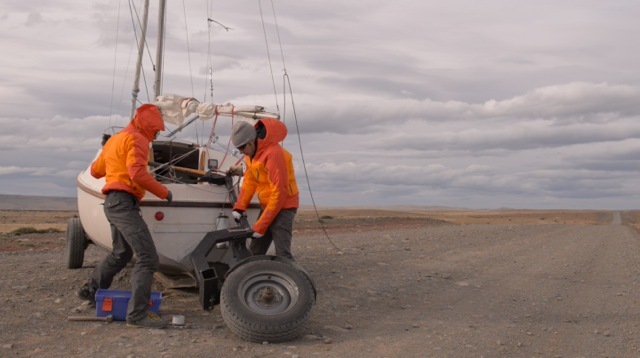 After we had come back onto the gravel road of Routa 40, luck was finally on our side: Good wind, not too strong, not too weak, and from the right direction – finally we were able to move fast! But soon a great ascent made ​​our progress impossible. The wind was too weak to push the boat with nearly a ton of weight up the mountain and thus to cope with the 150 meters. Even by pushing we would have barely had a chance to tackle this mountain without assistance due to the strong rolling friction at the gravel road. My plan therefore was to sail as far as possible by the sole force of the wind. I had hoped that one of the few motorists (for whom we provided a lot of attention anyway) driving past us every hour would stop and help us to haul the boat up the mountain. A friend of the policeman, who was visiting for two days to fish, came back in the evening with a great catch: 12 salmons. These were cooked as a delicious dinner for all of us. We showed Fabian -the helpful police officer- the footage that we had shot that day and he was very proud that he could help us and we even filmed it. The next day we offered him to make a short photo shooting with him so that he would have some good pictures for himself. 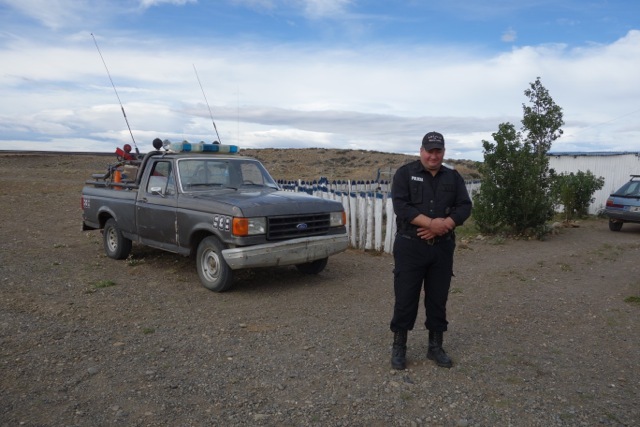 A farmer who had stopped to ask whether everything was OK, could give us two addresses of turners and a good mechanic in Rio Gallegos. This gave us some hope. 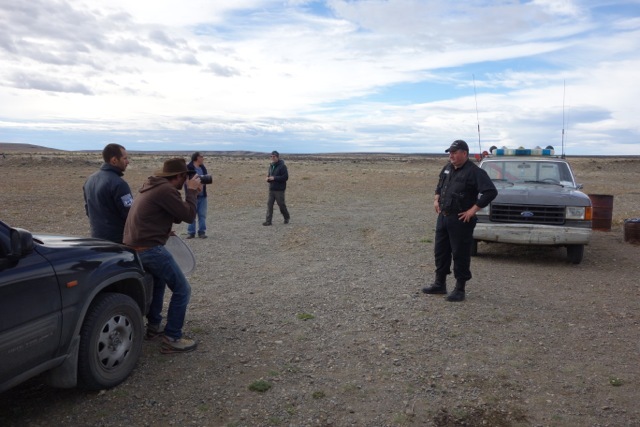 Before our trip to Rio Gallegos we spent the night at a road patrol and police station. 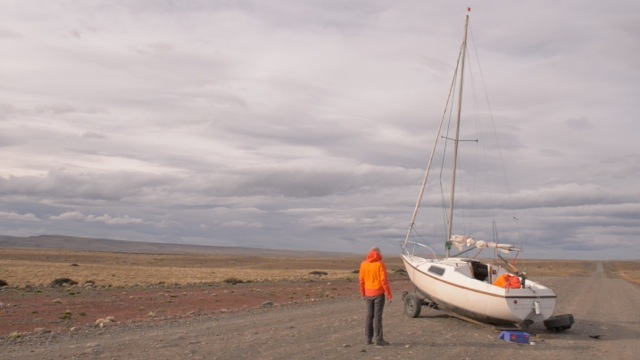 Martin, our sailing expert, had already been bed-stricken here with a strong flu the day before to spare him from the rigors of the wind and the gravel road. Contrary to all expectations, in the evening we sat together with this policeman, who was curious about our reports of our sailing adventure. 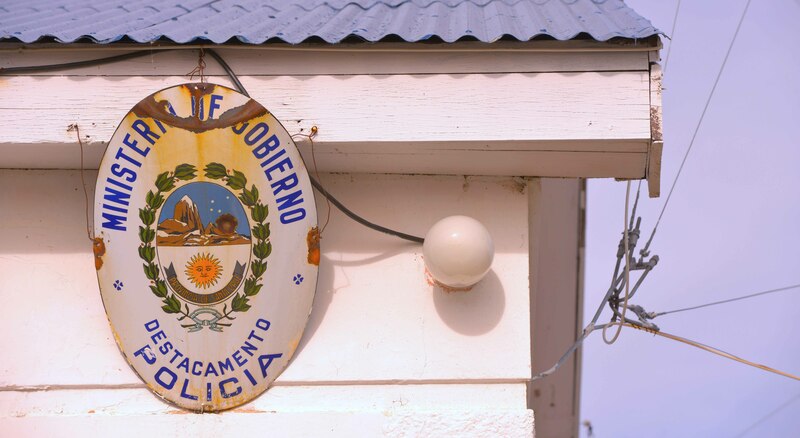 In advance, our expectations were rather restrained and we were afraid of constant problems with the police. That we would volunteer to show a cop our footage and would spend a fun evening together, was by far not what I had imagined in advance. 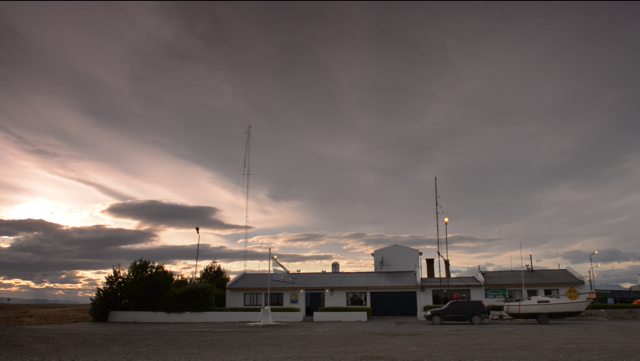 Thanks to the addresses of the farmer we immediately found a good mechanic and turner in Rio Gallegos; one who wanted to take care of our land sailor and wanted to lathe an axis for us that would meet the requirements of the Ruta 40. After 3 days, his reconstruction work was completed. Unfortunately, the flu was common these days, and I had caught it as well, so I spent most of my time at the hotel to get my strength back. The unintentional days of rest were thus not inconvenient. 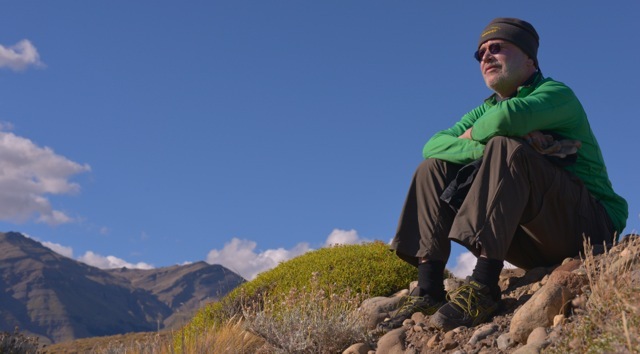 Full of hope, we returned to the Ruta 40. Finally we wanted to cover a great distance … Despite initial successes in sailing and beautiful pictures, we had far too often been busy trying to solve problems. I got more and more nervous: windless days, a broken rear wheel, a budget that I had already overrun by far and which slowly led into financial hardship. At this moment, the mood hit rock bottom and I was close to tears. 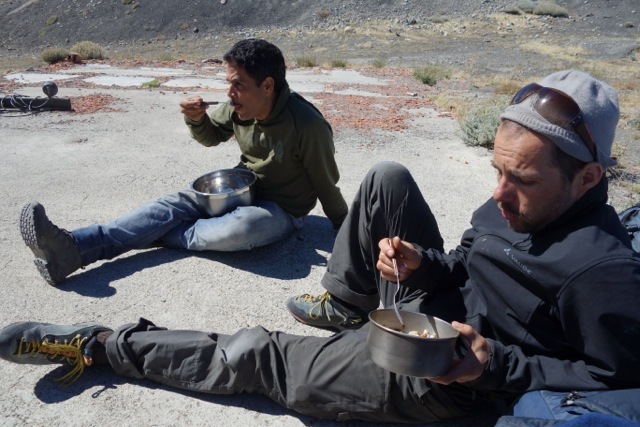 We neither knew which additional costs would face us, nor if we were able to find a solution that would remain firm despite the incredible strains onto the rear wheel on the gravel roads. 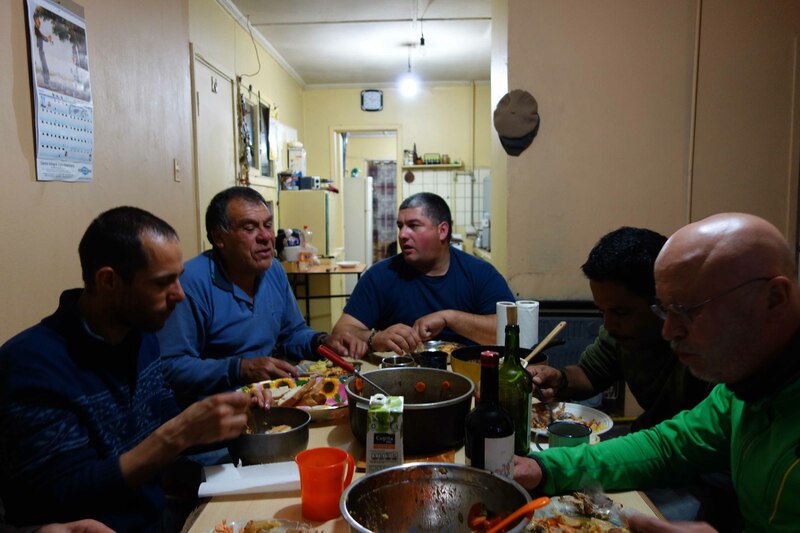 It was also not clear how many days we would lose to go to Rio Gallegos, where to find a craftsman and particularly how long it would take to build something robust for us. In addition there was a flu, which further weakened part of the team. Maybe it wasn’t meant to be? 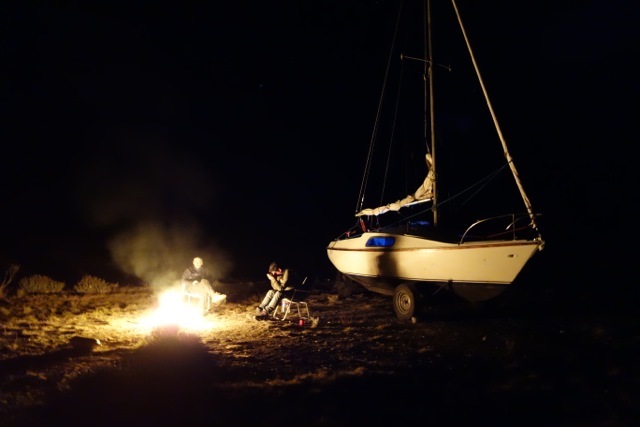 At this time, I was probably on the verge of giving up and accepting that a boat was probably not made ​​to sail across the country. Since I had started with the implementation of this project, I had faced a lot of problems … But even I have a limit: There is a point at which I am no longer able to cope with the situation and I will have to give in. And now I was already very close to this point. But … give up? Should all these efforts and the energy that had been put in this project up to this point be in vain? 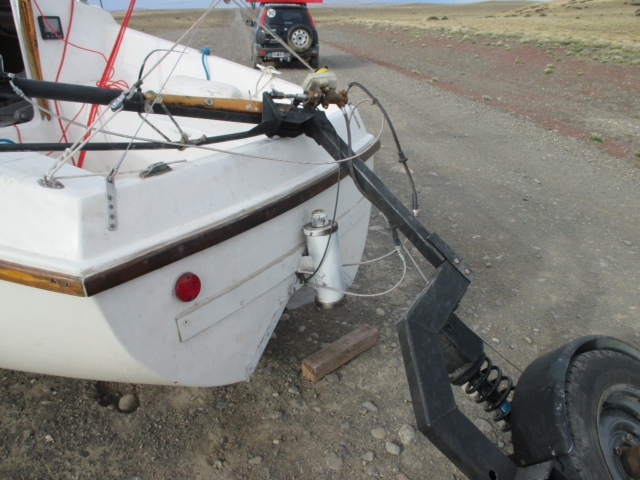 In spite of all troubles we have indeed managed to bring the boat into sailing on the ground. 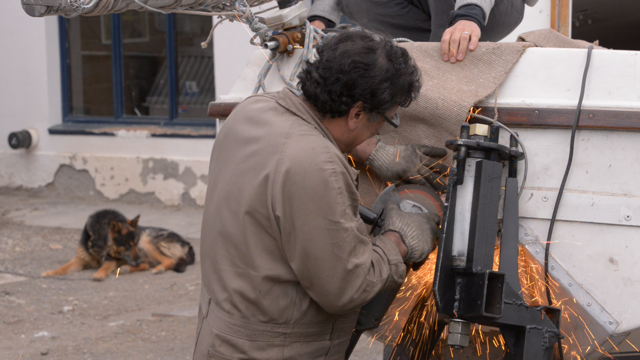 And even in the middle of nowhere there should be good craftsmen! Especially here, because without the improvisation skills of many craftsmen one could probably barely survive in this country. 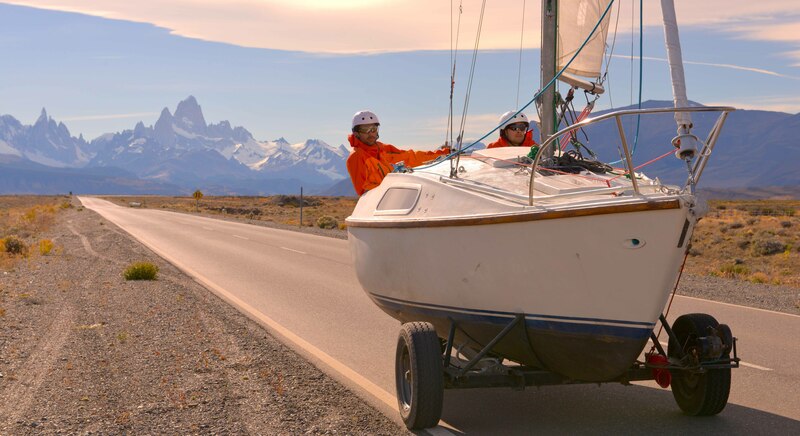 My team was the greatest support in this situation because it was not just my vision to sail through Patagonia, we all wanted the project to be continued! We couldn’t and didn’t want to accept that the project came to an end at an early stage due to technical and financial problems. 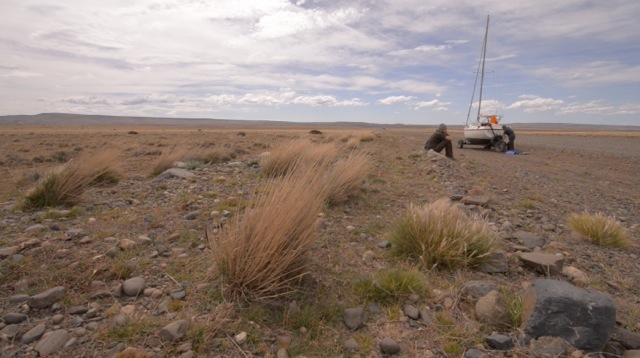 … the winds do not only drive us forward, they also strain the material of the boat to its limit. So we soon had our first breakdown: the rear wheel broke off. Armin KUPPER bei ES LÄUFT!! Silke und Pascal bei LET’S SAIL!